And there were 10 birdwatchers on the Causeway this morning! The female Blue-Winged Teal was with a large flock of Teal/Shoveler/Wigeon just opposite the main entrance to St Anne's Pk.For a photo of this bird - we think it is the same returning visitor - see January in the archives at the end of this page. This is a dificult bird to pick out!! Also off the causeway there was one Carrion Crow and an adult Mediterranean Gull. Lots of geese, ducks and waders in...the place was packed with birds! Down at Kilcoole this morning (beautiful weather) there was a Barnacle Goose, a male Gadwall, 12 Shovelers, 18 Little Grebes, 10 Whooper Swans, etc. Also a late Wheatear. OM At Swords estuary there was a juvenile Greenland White- fronted Goose an adult winter Mediterranean Gull & 2 Ruff. 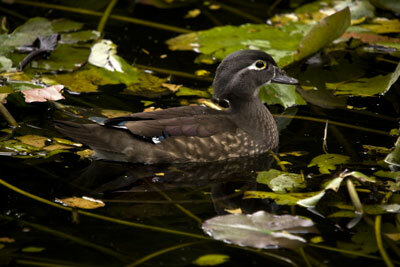 Female Ruddy Duck at Knock lake this afternoon. PL A second-year Mediterranean Gull was in Bray Harbour, and also a Black-headed Gull ringed in Sweden!.OM At Booterstown there were 6 Little Egrets, 270 Dunlin, 185 Knot, 215 Sanderlings, 110 Black-tailed Godwits, 529 Bar-tailed Godwits, 290 Redshanks and 1,545 Black-headed Gulls. Barncale Goose at Kilcoole today also 24 Greylag and 14 Whooper Swans. 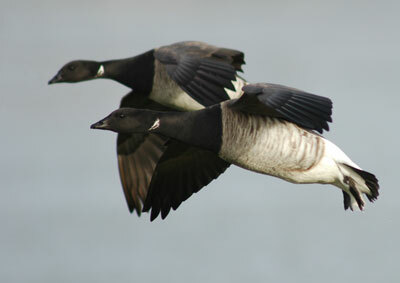 Brent Geese now in Dublin! Big clear out of Redshanks in Swords- less than 20 remaining from 200 plus last Friday. But 39 Greenshank at the head of the estuary this morning. 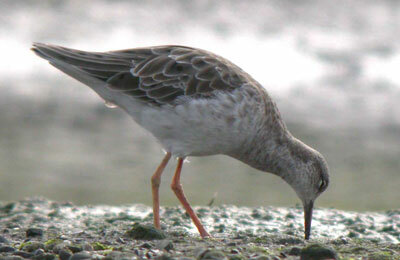 1 female Ruff also and 1 adult winter Medterranean Gull. 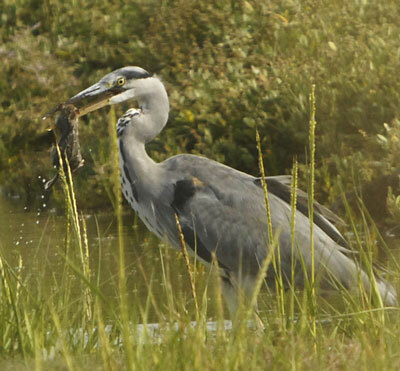 DOM Does anyone know any patterns of wader movement round Dublin Bay possibly related to tides? Its interesting that there were 200+ Redshank on Swords on Friday and the same number in Fairview on Saturday? Ed. 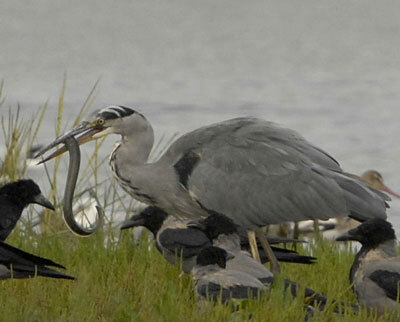 We have heard about the feeding habits of these birds - now you can see for yourself!! 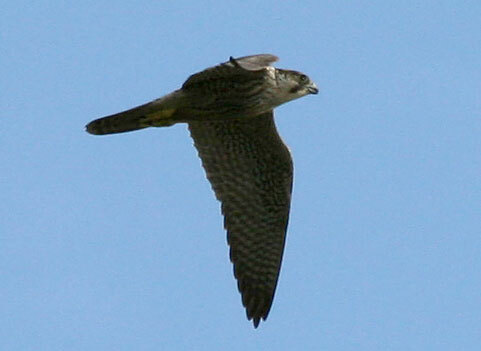 These photos were taken on 1 September, 2007 on the Bull Island by John Fox. Now for the Mystery bird below!! 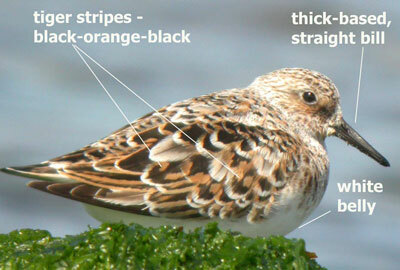 No, it not a Little Stint. 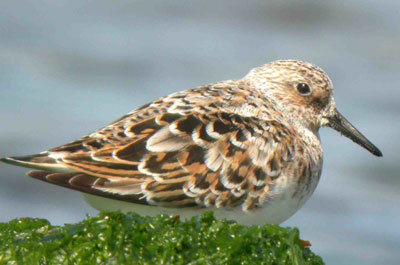 Its a Sanderling. 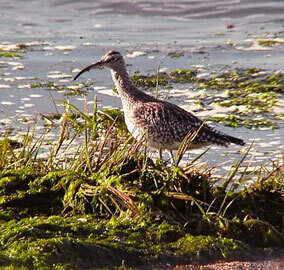 Eric has sent us excellent tips on identifying this bird and other waders. 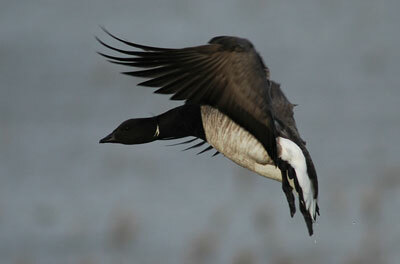 We have posted this ID piece in the Birding Tips section of this website.